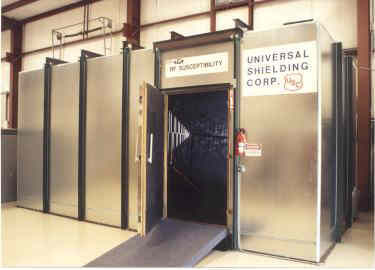 Universal Shielding Corp. (USC) was established in 1972 and during this time span has provided in excess of 30,000 pre-fabricated modular RF shielded enclosures to military, commercial and medical facilities. 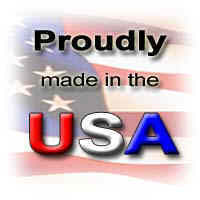 USC is proud to be the only company in the industry to have maintained its original ownership since its inception. 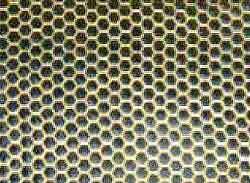 Universal Shielding Corp. is the second largest RF shielding manufacturer in the United States. 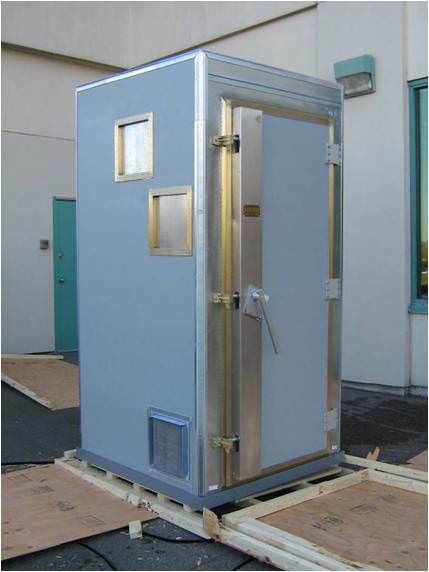 Enclosures meet TEMPEST and HEMP specifications NSA-65-5, NSA-94-106 and MIL-STD-285. 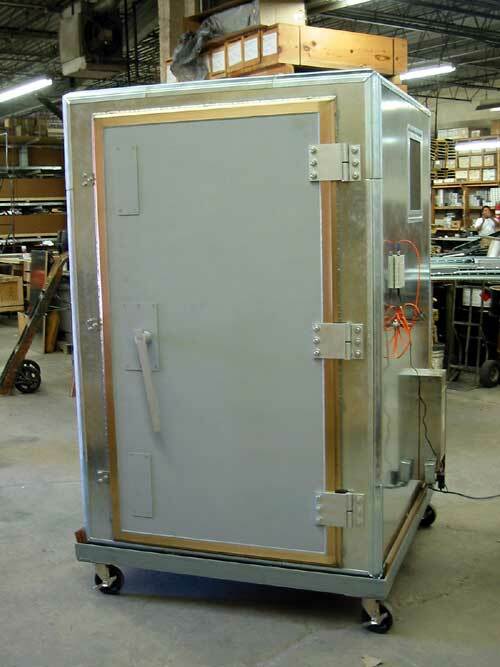 USC designs, manufactures, installs, and tests its RF shielded enclosures nationally and internationally. 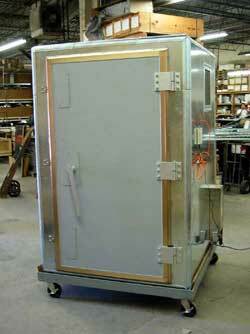 Enclosures have been approved by all MRI and EMC/RF absorber manufacturers. The series will provide up to 120db min. 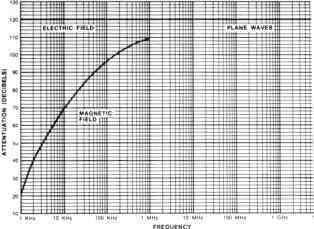 of attenuation from 14 KHz to 10 GHz when subject to electric fields and plane waves. Universal Shielding's USC-26 RFI/EMI shielding system is designed to meet or exceed the vast majority of shielding requirements. 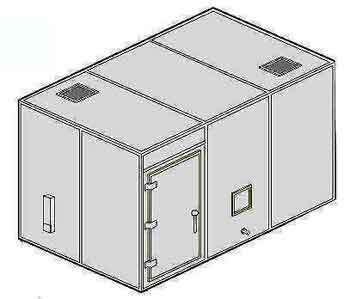 This system is available in both standard modular enclosures and custom-designed modular enclosures to meet exacting specifications in government, industry, research and development, university or hospital use. 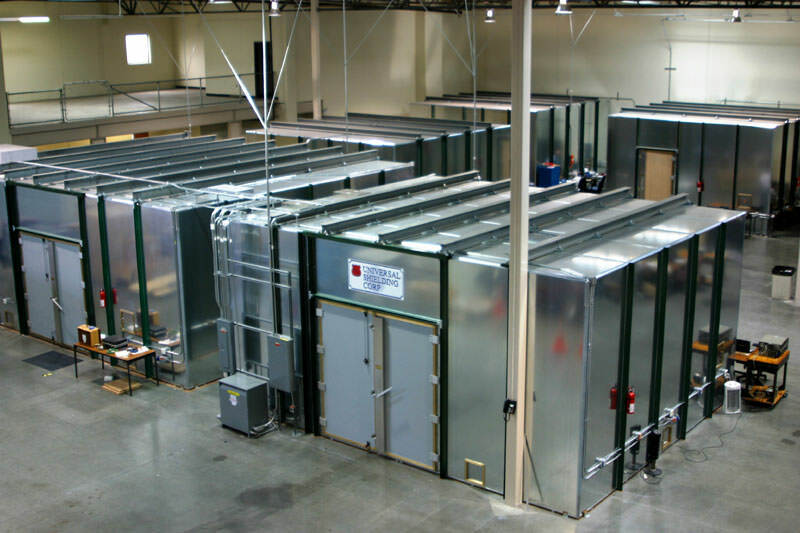 Rigid, steel-clad, 4-foot structural panels with steel framing form the modular USC-26 RF shielded enclosures. Weld-nuts on the corner and intermediate framing members eliminate screws that penetrate the framing members. In addition, this exclusive weld-nut feature provides a structure that is tamper-proof from the outside... an important consideration in Secure Communications. Our enclosures can be designed to accommodate raised floors for computer installations, suspended ceilings with recessed lighting, and specially-designed channels for installing acoustic and/or anechoic absorbers. To the right is a typical performance curve for the USC-26 shielded enclosure when tested in accordance with MIL-STD-285 or IEEE 299. Will meet NSA 94-106 and NSA 65-6 requirements. Both USC-26 and USC-44 series panels are interconnected with a framing system to form the enclosure. 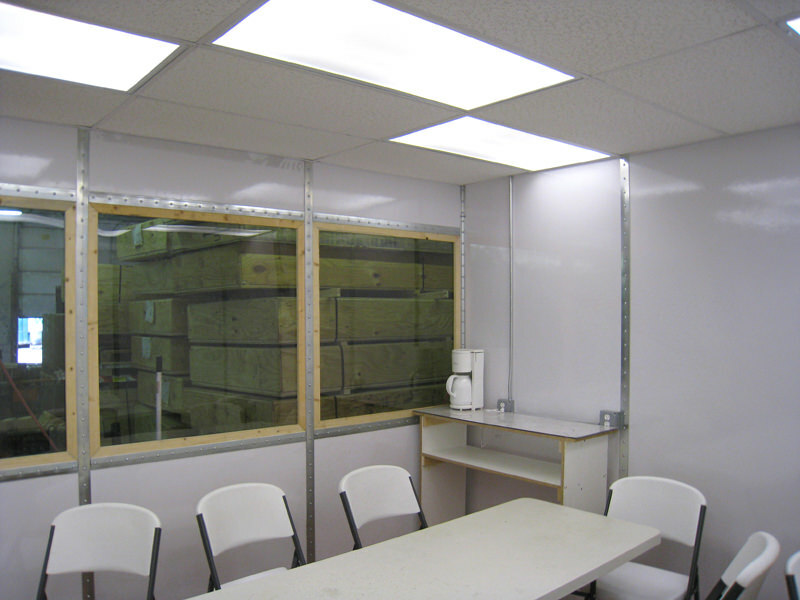 Enclosures are completely erected from interior and thus can be placed in proximity to parent room walls. Parts are all numbered to enable customer to install chamber rapidly. 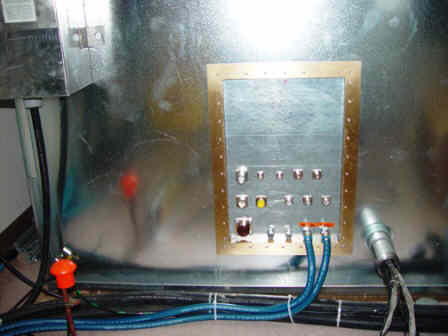 DESIGN ADVANTAGES OF UNIVERSAL SHIELDING CORP.
All four shapes of channel members have serrations running lengthwise along each side of the contacting surface where it mates with the panel, thus resulting in a highly efficient RF seal. Our clamping system consists of weld-nuts welded to the outer framing member on Three (3) inch centers. Thus NO screws penetrate through the enclosure. There are no opposing joints between the periphery “M”' and “U” channel members at any point. 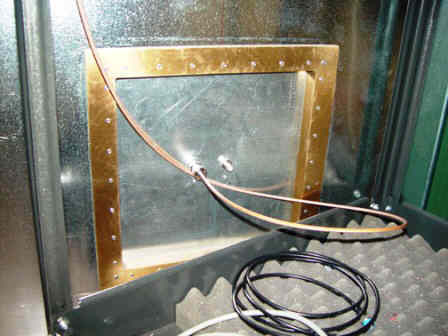 Our integral "flat" channel has a convex contour for positive spring tension, insuring an RF tight enclosure. 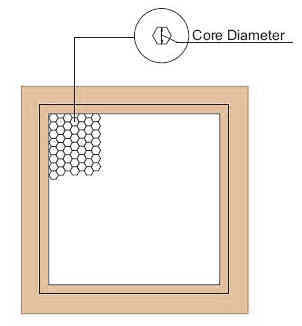 Our corners are an all-welded one piece assembly consisting of three (3) 15 inch long members. The entire steel framework is supplied with integral interconnecting tabs and weld-screws and is assembled from the interior. 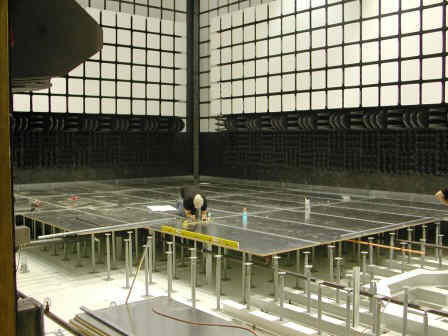 This system enables rapid assembly and positive placement of channels resulting in no voids or separations in channel system, thus preventing RF leaks. Our doors incorporate a brass extrusion around door and frame. These extrusions are designed so that the contacting fingerstock is not exposed, thus resulting in a damage-free closure seal. The fingerstock is not held in place with any mechanical or solder methods and is easily removable. All channel members are metal-stamped for identification and their designations are indicated on installation drawings, thus enabling rapid assembly. Our RF air vents are mechanically held in place with all welded frames, thus enabling honeycomb vent to be easily removed for cleaning after long periods of usage. 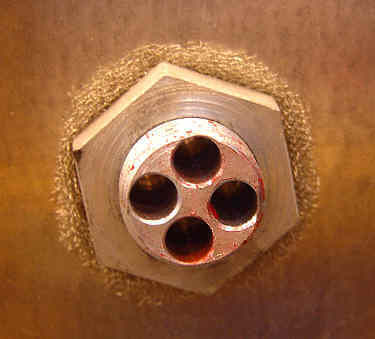 A filet weld is factory installed at end of each "hat" section so that NO gaps exist at intersection of "hat" and M channel sections. Shielding effectiveness values are expressed in logarithmic, not linear, terms. 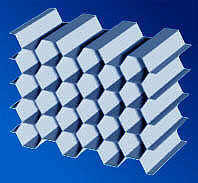 Therefore, 80 dB of shielding effectiveness is not double the 40 dB level, but 100 times greater. Another way to express effectiveness is attenuation ratio, which compares the attenuation signal strength outside and inside the shield as shown below. 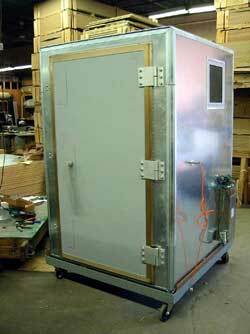 Universal Shielding Corp. can build your new shielded enclosure to meet any of the earthquake code requirements. Building code maps using numbered zones, 0, 1, 2, 3, 4, are practically obsolete. 1969 was the last year such a map was put out by this staff. The 1997 Uniform Building Code (UBC) (published in California) is the only building code that still uses such zones. Generally, over the past two decades, building codes have replaced maps having numbered zones with maps showing contours of design ground motion. These maps in turn have been derived from probabilistic ground motion maps. 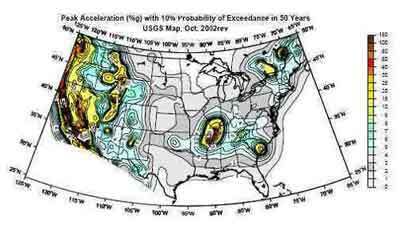 Probabilistic ground motion maps have been included in the seismic provisions of the most recent U.S. model building codes, such as the new "International Building code," and in national standards such as "Minimum Design Loads for Buildings and Other Structures," prepared by the American Society of Structural Engineers.